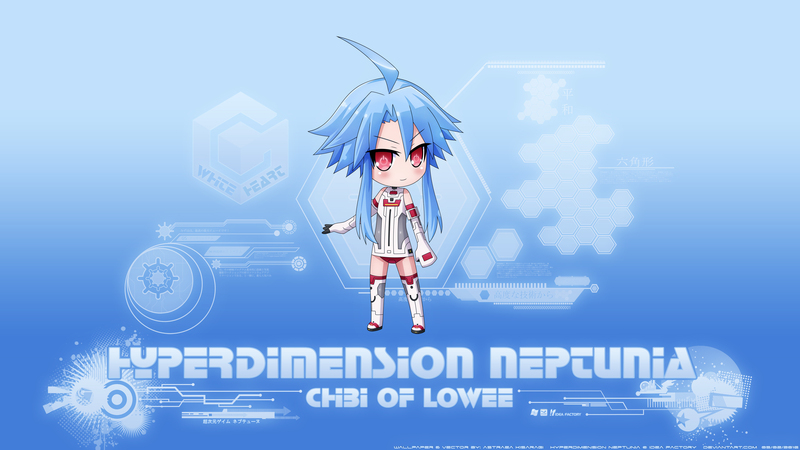 I felt like a waste to keep the recent White Heart chibi just so on my HDD, cause making a simplistic wallpaper like this takes only 1/10 of the time what the vector itself needs. Based on the previous wallpaper, but this time features a bright - blue/white design in order to match it to Lowee, the country of forever snow. 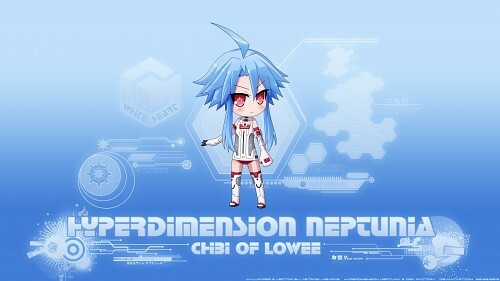 Also added the GameCube logo - as long Lowee is a reference to Nintendo. The Wii logo is just too lame and didn't wanted go with the ancient NES or SNES. Had also a idea to incorporate the red color somehow, but it doesn't looked any good, hell, at least she is more noticable this way. This wallpaper is made for the PC version of the game, so thats why it features both the Windows and Steam logos. Browse Choujigen Game Neptune Gallery: Recent | Popular.